See more objects with the tag decoration, kitchen, dining, symmetry, foliate, geometric. This is a Footed dish. It was manufactured by J. & L. Lobmeyr GmbH. It is dated ca. 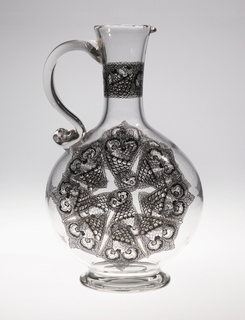 1877–87 and we acquired it in 2009. 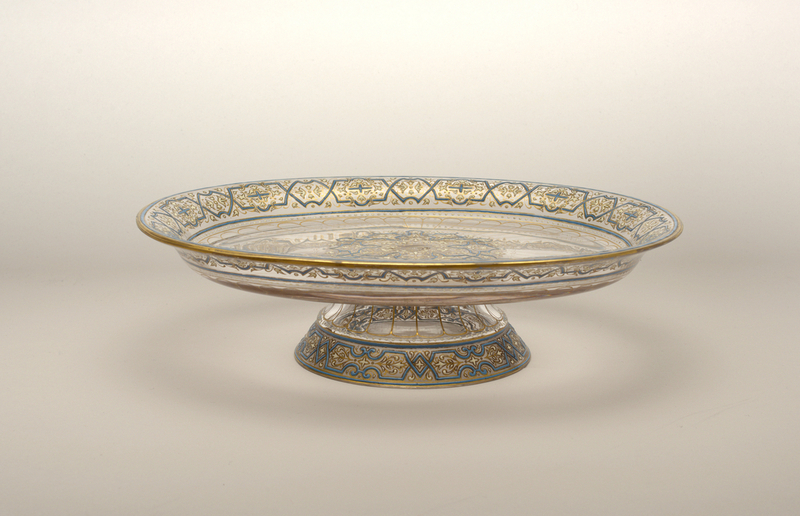 Its medium is enameled and gilt glass. It is a part of the Product Design and Decorative Arts department.